If you are looking to implement best practices to combat cyberattacks, here are five steps to consider. We explained each of the steps in the whitepaper below, together with what cyberattacks mean in an interconnected world, and a few facts. Vanderbilt: Join a winning team! ACT365 aids the installers’ job for simple and quick installations and performing maintenance tasks remotely. When managing ACT365, the installer can view its interface from any internet-ready-device. Valuable details such as controller status, system health, possible tampering incidents, door forced, and door ajar are provided remotely, avoiding the necessity of on-site call-outs. The SPC Milestone plugin allows users to trigger off events and control SPC systems from within the Milestone system. When installed, the plugin allows for a 30-day trial for up to two panels and will allow the display of areas, zones, doors, and outputs from the SPC system. The plugin uses FlexC to communicate with the panel. The license provides customers with 1-year support and availability to updates. In addition to the new functions, Vanderbilt will be offering an additional licensing option for smaller systems. This new 5-panel license is offered at a reduced price point but offers the same functionality and operation. Kim Loy - Director of Communications & Technology talks about the value of our global team. Vanderbilt’s detector products are specifically designed for round-the-clock monitoring of safes, ATMs, strong rooms or any other environment with high concentration of valuable assets or dangerous goods. ACTenterprise has been developed as a role based platform with different modules depending on the user type. The functionality available to each user is specific to their own needs enhancing the overall security of the system. This is an application guide of how an integration was achieved to Assa Abloy Aperio Wireless locks using the AH20 1-to-1 Aperio® Wiegand interface communication hub the data sheet of which can be found here. The hub can be connected directly to the SPC Door controllers allowing you to use compatible Assa Abloy wireless locks with the SPC systems. Doors can then be locked, unlocked, access granted, access denied from the SPC system. Director of Communications & Technology Kim Loy discusses Vanderbilt’s #ReadyForAnyChallenge ethos. 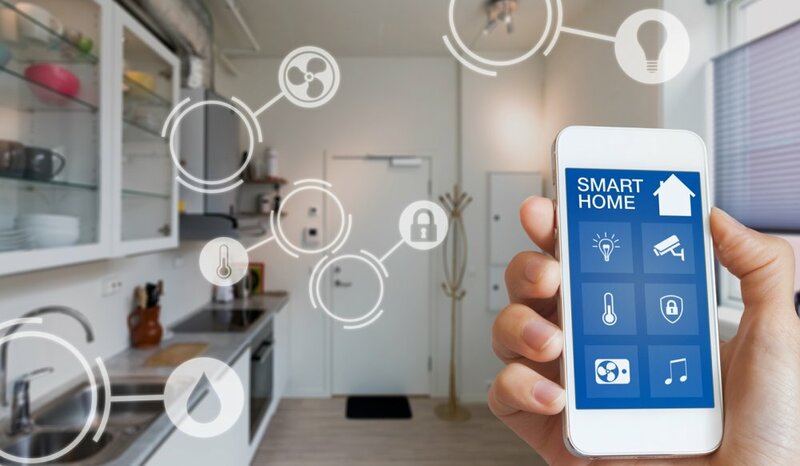 Home automation and solutions for the consumer market has been changing at a rapid pace, and this poses an exciting challenge for the security industry. The SPC intrusion system is designed to provide the highest levels of security providing interfaces to meet the demand of such a fast-changing market poses many risks to the safety and compliance of security systems. With the SPC solution, we aim to provide both, using the SPC Cause and effect engine you can recreate logic that will allow you to define automation logic throughout the building. The intelligence of any system can only be determined by data available for the system to make intelligent decisions. The security and access system within any building provides an information source for occupancy, movement and the state of the building. When users enter the building in the morning, the system disarms, and the user moves about the building between different areas of the system. The SPC intrusion system is designed to be a modular security system which can scale to achieve and support the needs of commercial buildings providing monitoring for various types of sensors, doors and providing multiple user interfaces. In this article we described how strategic partnerships can bridge the gap between the building automation design companies and the security industry, to provide flexible platforms that can be retrofitted into systems or designed as a critical element of the system from the beginning. 4 Megapixel CCTV camera from Vanderbilt with true WDR. Eventys CVMW4010-VIR in action with True WDR, Varifocal remote zoom lens 2,8-12mm and built in Smart IR light. Vanderbilt is one of the few companies that can offer a complete end to end and integrated solution. By using our integrated platform you get a very powerful access control/intrusion system. ACTEnterprise is well known as a leader in the small-to-medium end access control systems. Its wide success in Ireland and the UK has been based on offering the best possible price for performance access control products. In fact, up to 100 doors the access control software is totally free. Vanderbilt recently contributed to Source Security's discussion on GDPR, where the publication asked: How do privacy issues and regulations, such as GDPR, impact physical security systems and how they are managed? This latest version of Vectis iX specializes in banking features. This new product is ready for download from SPIAP. This product is a good alternative to Vanderbilt’s old SISTORE MX. Don't forget! Our next newsletter drops tomorrow, Thursday 3rd May. Join our community and find out about upcoming security-related events, Vanderbilt's retail solutions, and who are the new members in our DACHIT, UK & Ireland teams.